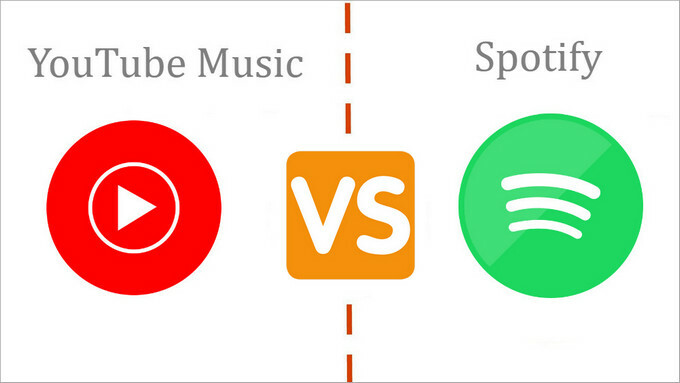 YouTube Music and Spotify Comparison: Which One You Prefer? Spotify is one the earliest and most popular streaming music services in the world. Since it was launched in 2008, it is a full decade to build the huge and loyal users base by continually honing it its product and refining the user experience. And as one of its users, from Free to Premium, I am really impressed by its design and great capability to listening to music on multiple devices and the wonderful features discovering more music. On the contrary, YouTube is one of the most popular video platforms in the world, because of its comprehensiveness for the diverse videos and music. This time, YouTube Music comes really like a steaming music services which pay much more attentions to music labels. With the firm basis and brand dominations of YouTube, as well as its unique features, YouTube Music is bound to challenge Spotify. Will you still keep on Spotify, or want to switch from Spotify to YouTube Music and become a subscriber? Before you make decision, you can look at this side by side comparison between YouTube Music and Spotify. 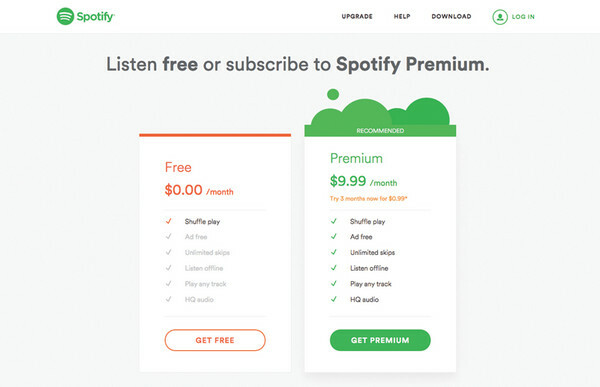 Spotify Premium is $9.99/month for a single user, $14.99/month for a family plan (6 users at the same billing address), or $4.99/month for Spotify Student plan with Hulu. And users can pay $3/month extra for bundle with basic Hulu. What’s more, Spotify is one of the few streaming music services that offer a student account, which is incredible and highly cost-effective. 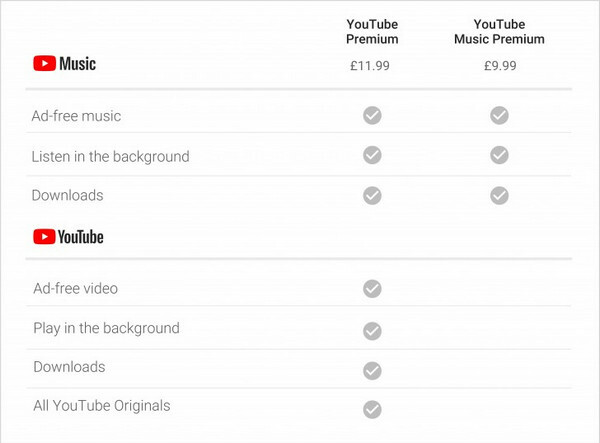 YouTube Music Premium is also $9.99/month for a single user and $14.99/month for a family plan (6 users over 13 years of age to have a Google account). 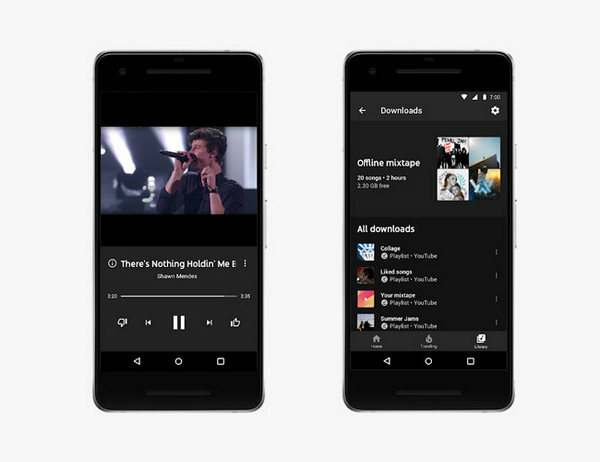 With YouTube Music Premium, users can access the ads-free contents and unlocks background/offline playback of music. And user can pay $2/month extra to get YouTube Premium on which users will get ads-free videos and unlock background/offline playback from YouTube, as well as share all the features of Google Play Music and access the contents your may interesting from YouTube Originals. Verdict: By comparison, you will find that both YouTube Music and Spotify share the same price tier ($9.99 and $14.99). But if you are willing to pay more extra for YouTube Music, you will have an access to more contents from YouTube. This is a way to combine music with videos, so you will like the way that YouTube Music presents, or all you want is just a simple way to enjoy music on Spotify? Spotify has over 30 million songs in its catalog, and this big catalogue can meet our needs of finding more music to listen to. YouTube Music has official songs and albums, as well as official music videos, live concert videos, but there is no official number of songs available published. What’s more, there are also the millions of songs uploaded by YouTubers. As for the music videos, YouTube Music is not only one which provides music videos. Other popular streaming music services like Spotify, Tidal, Deezer, Apple Music also include them, but when it comes to the numbers, YouTube Music it is the only one which has the greatest numbers of music videos, and it also has the option to listen to audio-only of YouTube videos. Verdict:When we choose the streaming music services to subscribe, music catalogue is not the determining factor, because we can almost find what we need from the existing catalogue, especially the official music and albums from record labels. But if you want more, YouTube Music is indeed an unique place you can go. As for the sound quality offered by the main streaming music services, Tidal is on the top of the list. Spotify offers audio streaming qualities up to 320 kbps in OGG for Spotify Premium, and 192 kbps in OGG for Spotify Free. Though it is not perfect as the CD quality provided by Tidal, it is fairly good enough for most of the music lovers. YouTube Music's current sound quality is about 128 kbps, and it seems bad and unacceptable on nowadays. But we believe that the sound quality will be improved in the upcoming updates. And we just need to keep an eye on the following progress. Verdict: YouTube Music's current sound quality is about 128 kbps, and it seems bad and unacceptable on nowadays. But we believe that the sound quality will be improved in the upcoming updates. And we just need to keep an eye on the following progress. As we all know that Spotify' algorithms is so powerful. 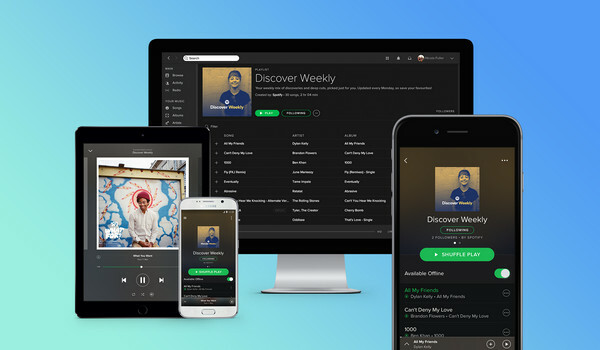 For example, "Discover Weekly" is based on the listening history and that of other Spotify fans with similar tastes, and it automatically refreshes every Monday. "Daily Mix" is based on the different styles of music you regularly listen to, each mix is loaded with artists you love, plus a sprinkling of new discoveries that fit the vibe too. User-made playlist is another way to discover music or playlist from others. For example, I always search for the workout playlists from Spotify, among which some are grouped by Spotify, and others are created by other users. From these playlists, I can find some new music that I have not heard before. And you can also create a playlist by yourself and share to others. Based on Google's powerful search engine, YouTube's recommendation engine also could rival Spotify’s algorithms. YouTube Music will well know what you like and make better recommendations for you, though it still has some drawbacks of the way presented to us. At present, "Your Mixtape" is YouTube Music's unique discovering feature. It is a personalized mix of music based on you have liked, your music library and listening history. Verdict: Because of the powerful recommendation engine, YouTube Music has a good start among the crowded files of streaming music services. The set of theory of Spotify is much profound and impressive at present, and I like the way it recommends. In Conclusion: YouTube Music or Spotify? Spotify is the best till now and it is my favorite music app so far. It's very easy to use and has a huge catalogue of music from music labels and independent ones. The additional features like "Discovery Weekly", social and connect improve the user experience. In addition, podcast is another nice feature for users who are looking for the topics then interest in from other different applications. YouTube Music provides the function that you can’t get from elsewhere, like audio-only version from YouTube videos. And it is an unique place to enjoy more official music videos, live concert videos from your favorite artists, and channels that specialize from YouTube. But it would be much better to add audio quality option and optimize its UI to well presents the music library. Extra Tips: How to Download Playlists from Spotify as MP3? Although you are Premium users of Spotify, it is impossible to get the MP3 audio version from Spotify songs or playlists. So what if you need to download MP3 from Spotify? And is there any way to enjoy Spotify music in MP3 format? 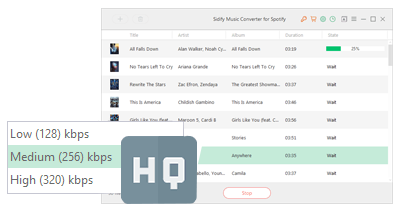 Here Sidify Music Converter for Spotify is capable of downloading Spotify songs or playlists to MP3 with 100% original sound quality kept. How to Upload Spotify Playlists to YouTube?